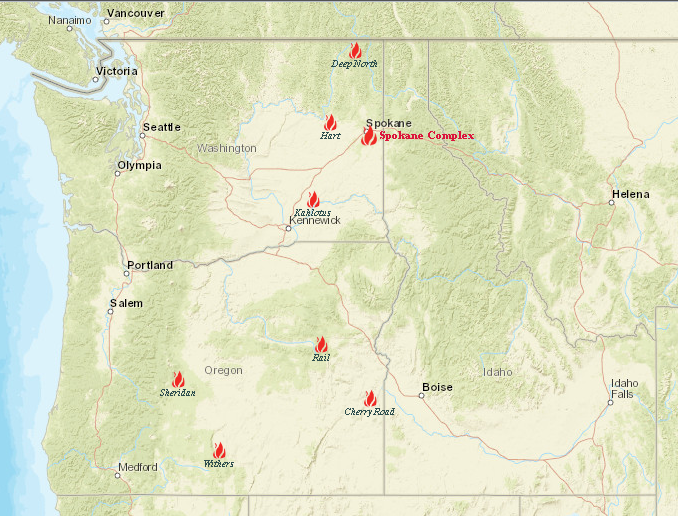 The Northwest Interagency Coordination Center serves as the northwest area geographic focal point to provide logistical support and intelligence relative to anticipated and ongoing wildfire activity for all federal and cooperating state wildland fire suppression agencies. The Center facilitates movement of resources between agencies’ units and, concurrently, ensures fire suppression capabilities to support large fire potential by monitoring weather and prescribed burning activity within the area. The Center also responds to requests for support to other geographic areas from the National Interagency Coordination Center at the National Interagency Fire Center.